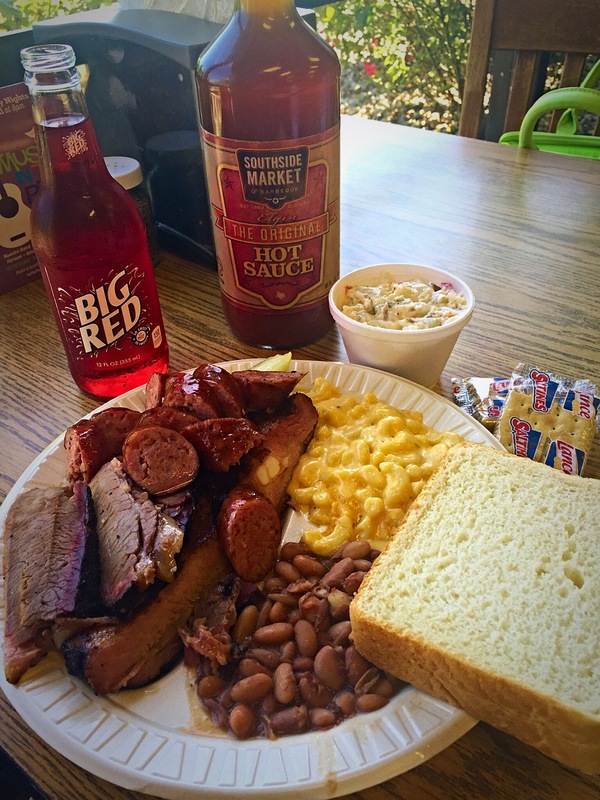 When I was planning my trip to Austin, Texas and talking to my girlfriend about it, she told me that one of the must do things on my trip was to eat real barbeque. Apparently, it is a whole different barbeque than I am used to and I absolutely needed to experience this deliciousness. I couldn’t imagine what she was talking about. I grill some mean meat and veggies at home. I make some amazing sauces and marinades. I have friends who have smokers. What could be so special and different? All of my questions were answered when I visited the Southside Market Barbeque. Even just pulling into the parking lot, the smell of smoked meat made my mouth water. The place itself isn’t fancy; it is barbeque after all. It is large, modern, and clean. 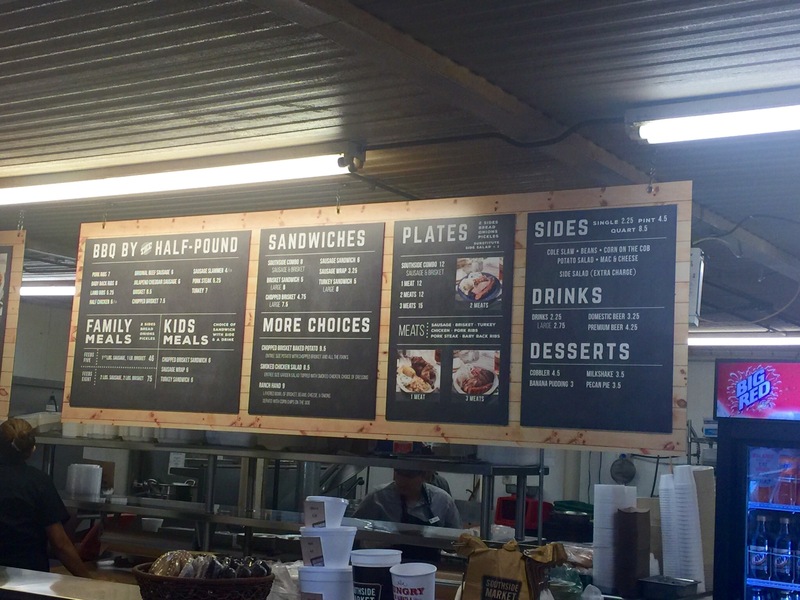 There is a place you can order smoked meat packages to take home and a place to order food to eat on the premises. My friend helped me order the right combination of real classics: sausage, brisket, and ribs. My side dishes were: macaroni and cheese, potato salad, beans, dill pickles, and onions. The meal also came with two slices of bread and crackers. My carb count was going crazy, but hey, I am on vacation and it doesn’t count right? I was also instructed to order a “Big Red” to wash it down. I don’t drink soda, but I wanted the real experience, so I was game for anything. My meal was served on a styrofoam plate ready for me to dig in. When I was grabbing my cutlery and barbeque sauce I nearly jumped for joy as I saw that the sauce was served warm from warmers. It is one of my big complaints when restaurants serve cold barbeque sauce on my hot food. They had two types: mild and bold; I tried both. They were very different, and both outstanding. 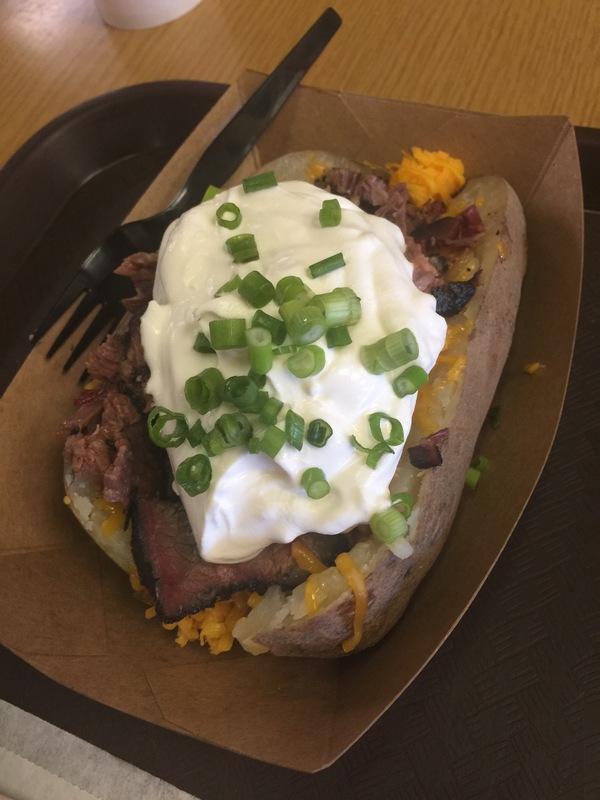 Walking back to my table I saw that someone had ordered the meat stuffed baked potato. It looked so amazing I had to stop and photograph it. It is on my next time list of things to eat. Ok, I was completely misguided. As much as I know about food, I have never had barbeque that tastes like this! So, what made it so special? It was a combination of things. Starting with the quality of the meat; then the wonderful smoke flavor and finally the very special mild barbeque sauce. It wasn’t a sauce of a type to which I am familiar. It was far thinner; almost a marinade. It has spices like cinnamon and cloves. It was amazing. When you put all of those things together it is like a party in your mouth. They also had a bold sauce which had a lovely spicy kick at the end, without being too much. Both were interesting and unusual. I really loved them. For me though, hands down it was the mild barbeque sauce that was the winner. I would like to highlight the sausage that they make and smoke in house. It reminded me a little of a kielbasa in its flavor and texture. The smokiness though, brought the flavor over the top for me; just delicious! 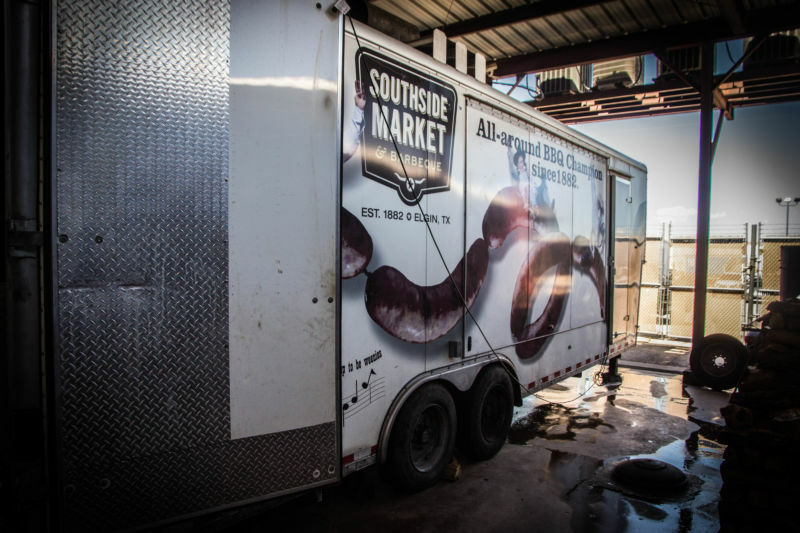 My girlfriend told me the story about how she was once living out-of-state and came all the way to Southside Market to fill her suitcase with sausage before returning home; it is just that good. I also loved the brisket and the lamb. I know the lamb wasn’t on my original plate, but my girlfriend ordered it for herself and I got a taste. It was so delicious that I bought some for other friends in Texas and shared it with them later. 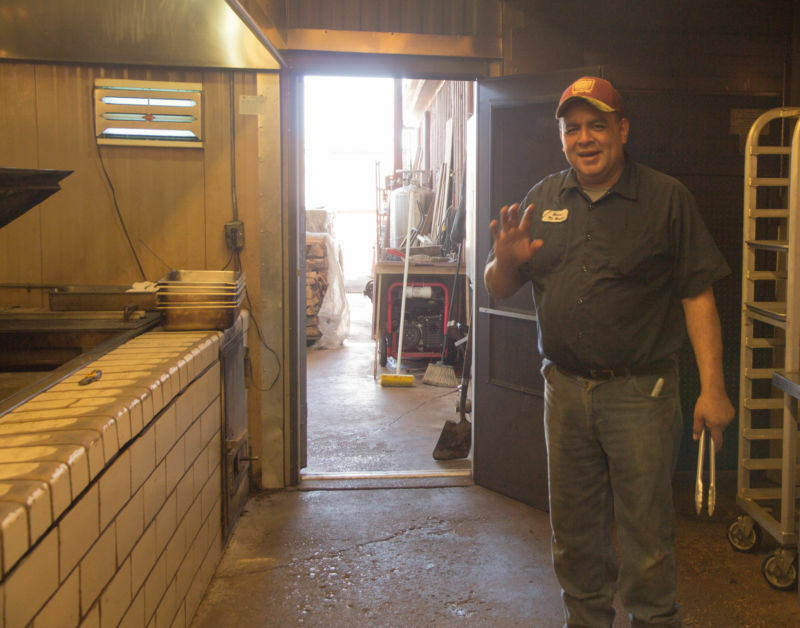 Lamb isn’t something that is readily available in Texas – Beef and Pork are the norm, so I was absolutely thrilled to get some smoked and cooked so perfectly. What a treat. As I dug into the side dishes of my meal, I was thanking God that I didn’t live in Texas; for surely I would weigh six hundred pounds eating like this on a regular basis. Everything was so good. None of it was what I would call gourmet, but it was all tasty and satisfying; the perfect backdrop to the amazing meat. For me it was all about the meat. The beans were whole pinto beans; wonderfully spiced and simply served. The potato salad was chunks of firm potato in a mayonnaise and dill dressing, with onions and red pepper. The mac and cheese was creamy and soft with that old-fashioned down home flavor. One of the highlights on my plate was the dill pickle they served on the side as a garnish. It was fantastic. I have been to Jewish delis whose pickles haven’t been this delicious. The last thing on my menu was a bottle of Big Red to complement my meal. I was very skeptical when my girlfriend insisted that I order this southern soda. I don’t ever drink soda (well maybe the occasional gin and tonic). The bright red, artificial color would be enough to make any Californian run for the hills! But, I sucked it up and took a drink. It was really good! It was really too sweet for what I would normally enjoy, but that sweetness was a great counterbalance to the barbeque. The flavor tasted like a cream soda that someone put a stick of red licorice in and let it dissolve. There was a light carbonation to the drink too that was good on the palate with all of that sweet. The flavor lingered a bit in your mouth. I did not have the room to try their ice cream, or their brownies, but they sure did look good. It was hard enough to get up from the table after stuffing myself with all of that delicious food. Just as I was getting up to leave, Ed Weiss, the General Manager, approached our table and asked how our meal was. What a sweet man! When I told him what I was doing, he immediately put on his best southern hospitality and offered to show me the pit and the area where the magic happens. Wow, what a tour it was! 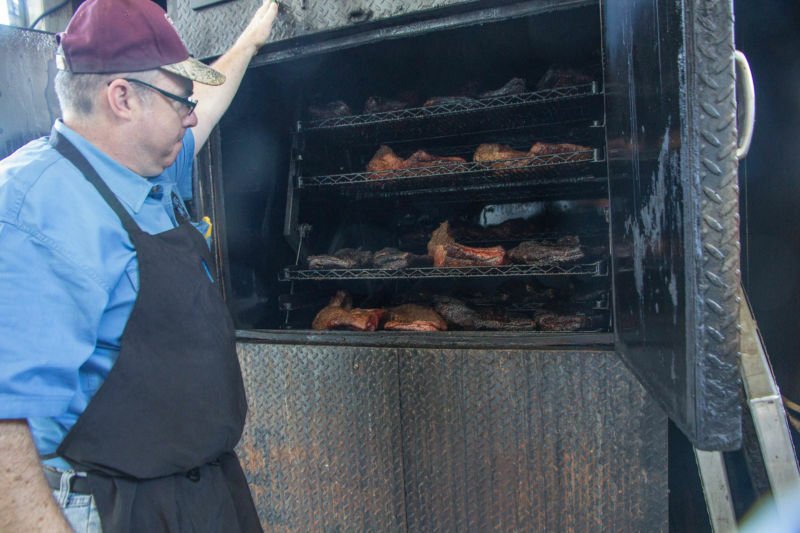 Southside Market Barbeque has actually been in business for 134 years. Although it has changed owners several times, it has never changed its commitment to quality. 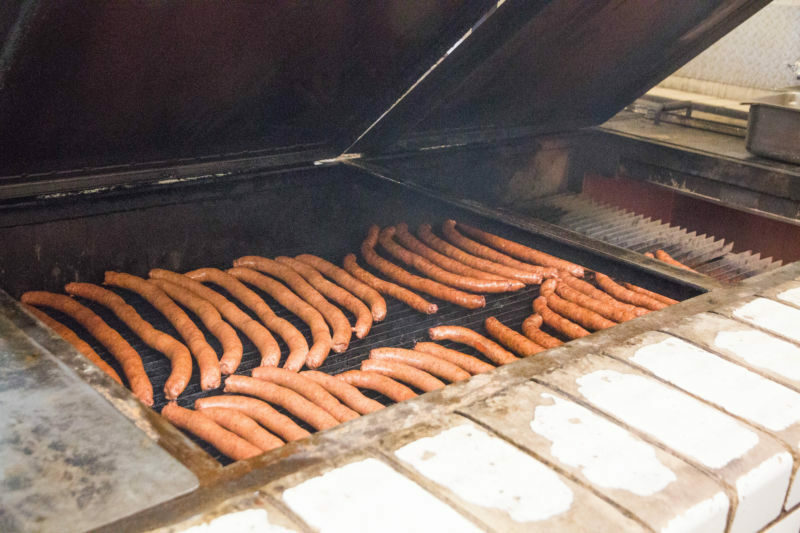 It was so impressive seeing the pits with the sausage being smoked, and hearing of the different processes. It made me hungry all over again. They even have an amazing mobile truck smoker that can do everything they do in their restaurant, but on location for events and parties. 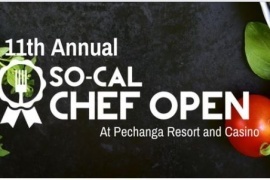 I wonder if they would bring it to the Bay Area? Can’t make it to Texas? You can order this deliciousness to be delivered to you! That’s right, they ship! https://southsidemarket.com/Products.aspx. I have to tell you that I am in love with their barbeque sauce and bought some to bring home. It is unique. It would be a great gift for the foodie in your life for whom you don’t know what to buy. Heck, they may just cater my next party with one of their meat packages. I could just make the side dishes and be done. At the end of the day my girlfriend was right, mmm mmm good! Now that’s some barbeque!